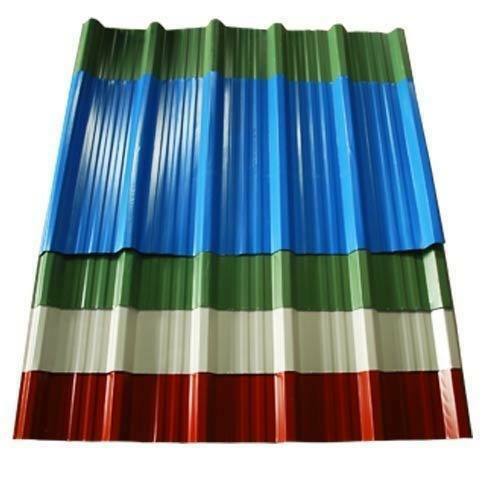 Established in the year 2010, we, Fapal Roofs India Private Limited are amongst the foremost manufacturer And Trader of a quality approved range of Profile Sheets, Turbo Ventilators, etc. As per the set industrial guidelines, the whole range of provided products is precisely manufactured by our trained professionals by the use of qualitative components and sophisticated machines. The raw materials utilized in the manufacturing process are procured from the genuine vendors of the industry. Our provided products are extensively cherished and acknowledged by our customers for their low maintenance, longer working life, excellent performance, simple to operate, highest quality, ruggedness, corrosion resistant and high durability. In order to cater the diverse requirements of our valued customers, we provide our products in varied specifications and at industry leading prices. For the manufacturing of the provided products, we have developed an upgraded infrastructural unit. This unit is installed with modular equipments and machines in our infrastructural unit that assists us to cater the precise demands of our precious customers in the most proficient manner. Categorized into different sections such as procuring, manufacturing, quality testing and many more, the whole business processes are vigilantly managed under the stringent guidance of our team of expert professionals. Supported by the team of trained professionals, we bring forth a broad range of products. We have recruited our team, who has enormous industrial experience and knowledge. Under the direction of our skilled workforce, offered products are manufactured with the use of sophisticated technology. Our professionals are fully dedicated towards fulfilling the precise needs of customers within fixed time frame. For maintaining the quality, we obtain raw materials from genuine vendors and carry out strict tests at all stages of manufacturing process. Our quality examiners ensure that our products are in accordance with the latest industry standards and match the details provided by our customers. Under the supervision of our mentor, Mr. Vasant Fapal, we have been able to achieve incredible growth and success in the domain. His huge industry experience and constant inspiration has allowed us to cater the specific needs of our valuable clients.